Rev. William John (B.J.) Weber has lived and served in New York City since 1979. Upon first coming to Manhattan, B.J. started a street ministry, where for five years he served in rescue and recovery efforts with addicts, prostitutes, teenage runaways and the homeless, while co-pastoring a mission church in Times Square. 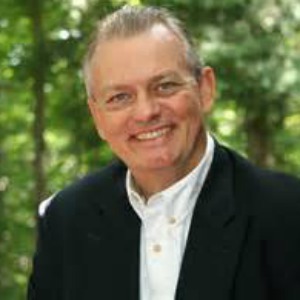 In 1984, Webber founded the New York Fellowship, an interdenominational ministry, which provides spiritual direction, counseling and pastoral care to leaders in the business and professional communities of the New York City area. For more than a dozen years, Webber served as Chaplain for the World Series Champion New York Yankees. He is the co-founder of more than 25 inner-city ministries, including the East Harlem Little League, Youth Impact, Pregnancy Help, Brooklyn Little League, and Kids to Camp Program. He also was co-founder of the Amistad Mission Clinic and Orphanage in Bolivia, and has been the catalyst for launching other endeavors that reflect Christ’s love for those in need. B.J. Webber is an ordained minister, attended the Presbyterian Seminary in Dubuque, Iowa, and graduated with a B.S. in psychology at Iowa State University in 1971. During seminary, he lived for six years as a non-vowed monk, attached to the New Melleray Trappist Monastery in Iowa, where upon a casual visit to buy their homemade bread, he first came to faith in Christ. He worked and lived for those seminary years in relationship with their sister Trappistine convent, Our Lady of the Mississippi Abbey, whose chaplain, as well as the abbess, provided spiritual direction and mentoring during Wbber’s early years in faith. Since 1980, B.J. Webber is married to Sheila, a journalist and public relations consultant, who has also been vitally instrumental in the founding and managing of the New York Fellowship. They run a hospitality house in midtown Manhattan, which serves visitors from all over the world and hosts ongoing dinners and outreach events. They have a grown son and daughter. "Rev. Webber was caring, real and powerful in his presentation. We were blessed with the best fundraising ever."